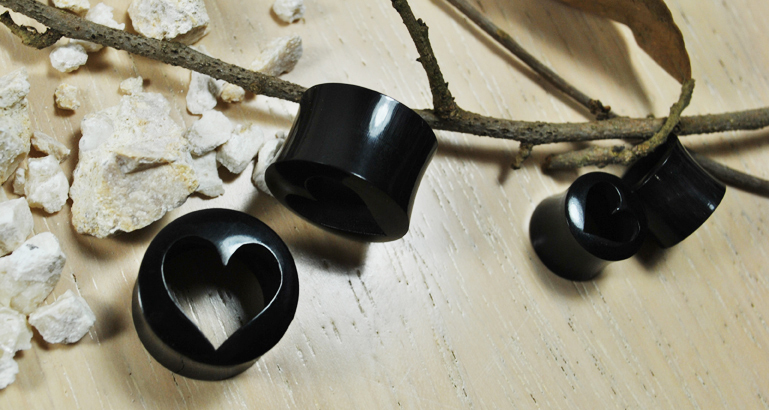 Polished to a high gleam, these beautifully rendered gauged ear plugs have a heart shaped tunnel carved out of them. Carved from black buffalo horn these have a superbly lightweight feel and an amazing look. As with all of our gauges, these tunnel plugs are sold in pairs. If you don't see your gauge size listed please feel free to contact us or check back later since we're constantly restocking or adding new sizes and styles to our line.